Once you’ve made the decision to homeschool year round you have to figure out a yearly schedule for your homeschool, which is something you’ve likely never done. When following a “normal” school schedule you know that you’ll start in September and your final lessons will be complete by the end of May. That seems simple, but it can be very stressful, which is why I love the freedom that creating a year round homeschooling schedule provides! 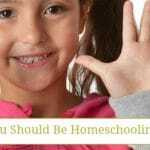 Deciding what your year round homeschooling schedule will be can be a bit challenging and overwhelming for some, especially if you are moving from a “normal” school schedule to homeschooling year round. Learning how to look at the entire calendar year as your planner truly is amazing, but it can be an immense pressure for those not accustomed to it. 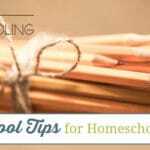 It is my hope and prayer that these few tips will help make creating a year round homeschooling schedule easier and more enjoyable for you as you prepare for the new homeschool year! Creating a year round homeschooling schedule is easier if you have resources chosen because you can see how long each course is to help determine what your homeschool schedule should look like. If you are a textbook based homeschooler, then you’ll likely find that there are 180 lessons inside each of your student’s subjects. That makes planning your homeschool fairly easy! If your kids enjoy unit studies, then you can easily plan those for year round homeschooling as well by ensuring your schedule segments end when a unit study is completed. My husband’s self employed commercial fishing work schedule is what caused us to move to a year round homeschooling schedule. He was off certain months of the “normal” school year, so trying to get my kids to focus on schoolwork wasn’t working because daddy was home. If you or your spouse has certain work seasons that are slower or you like to take vacations during particular months of the year then consider making those your year round homeschooling scheduled vacation/break times. We live in Maine and our winter months are very cold, so I’ve learned that the bulk of our homeschool curriculum needs to be focused on during the wintertime when the kids are inside more than they are out. Back home in Texas the summers are very hot, so if we were there then we would focus on the bulk of our homeschool curriculum in the summertime. As year round homeschoolers we do schoolwork year round, but when there is weather to consider you can adjust when you study heavily vs. having a lighter schedule when the weather is nice. Look back over your past homeschool schedule and consider the months that you and your children did and did not enjoy homeschooling. As your creating your year round homeschooling schedule try to plan around those times, taking off the months that you didn’t enjoy homeschooling and doing school in the months that you did. When I began year round homeschooling I could not find any resources, tips or stories to help me along the way. So, I had to find my way on my own and I did so by doing the first 4 steps I’ve just given you. Our first few years as year round homeschoolers, we followed a quarterly schedule (Sept.-Nov., Jan.-Mar. and May-July), but since we’ve taken on a family business, our schedule hasn’t really solidified yet. I know of other year round homeschoolers now that follow a 3 week on and 1 week off schedule and others that follow the “Sabbath” homeschool schedule (6 weeks on and 1 week off). I have just one more tip, a bonus if you will! Once your year round homeschooling schedule is in place it will be easy to just stick to it like you used to with a “normal” school schedule, but by doing so you’re missing out of the greatest blessing that year round homeschooling provides. 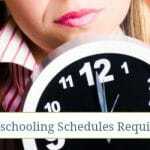 You do not have to adhere to your homeschool schedule in fear of make up days or overfilled homeschool days. There are 365 days in the year, if you come to a place during your year round homeschool schedule that you need a break, take it! Creating a year round homeschooling schedule can be a lot of fun because it gives you the opportunity to plan your homeschool journey around your family’s lives. All too often homeschoolers forget that homeschooling doesn’t just include our children’s education, we need to ensure that we are focusing on building character and spending quality time together as a family. No matter what homeschool schedule you create for your family make sure that you allow for flexibility because life does happen even when you homeschool! What questions do you have about creating a year round homeschooling schedule? Great tips! I was actually going to work on this today, so this came at just the right time! Thank you!!! I have come to realize that weather, birthdays, and certain holidays are the times I need to schedule breaks. July and August in Georgia are miserable. It’s too hot to focus on schoolwork even though it’s too hot to play outside. Birthdays are exciting and fun, however, they are also distracting. Easter, Christmas and 4th of July are also busy holidays which cause excitement and distraction (not unwanted distraction, mind you) not to mention stress levels increase during these holidays. So, I have decided to adjust our year-round schedule accordingly. 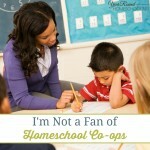 Year-round homeschooling is the best choice I made for my 5 year old son. I home-schooled two daughters for years using the public school schedule and we were miserable and stressed. I so far I have dotted in a 4 days a week plan on calendar. takes from mid Aug to early July. then we pack go on vacation. unpack. and start the next yr. but If I need too meet the 180 days of my state I can add days well we pack or unpack cause life happens. great ideas here to think about. Thanks for writing this and sharing it with us. After finding your blog a couple years ago I decided to go with the year round schedule. We live in Colorado, so we lighten our load during the summer and mostly do unit studies, unless we are behind in something else (like math or grammar). This summer we are doing an Olympics unit with some friends. We usually take all of August off, and generally only do school 4 days a week, due to other commitments. We also tend to take most of December off. We kinda fell into year round homeschooling by accident…but this is our schedule. Mid-May we start the new school year and go 8 weeks, then take a week off mid-July for my son’s birthday week. Then it is back to school for 8 more weeks, finishing up the week of Labor Day. Then as all the school kids are really settling into their year we take 5 weeks off in September/October and enjoy being able to have the zoos and museums practically to ourselves…and parks on the nice days!! We start back mid-October for 5 weeks, take a week off at Thanksgiving, then do 3 more weeks, then take 2 weeks off for Christmas and New Years. When we start back in January we only then have 6 weeks of school, a week off the week of Valentine’s, and then 6 more weeks…finishing up the end of March. We then have the lovely April and early May weather to enjoy in our time off before our next school year starts (and my daughter won’t ever have school for her April birthday).